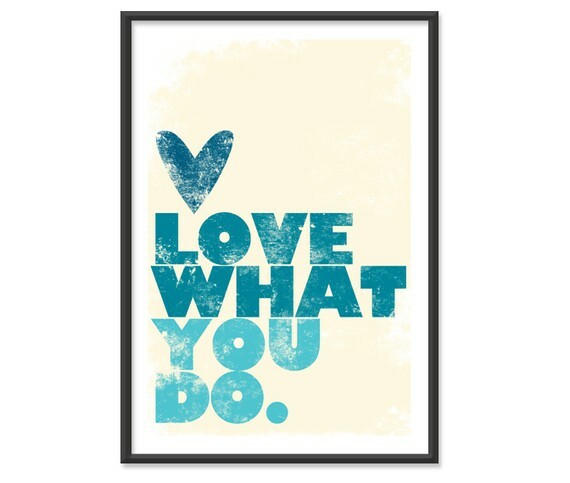 Ashbee Design: Love What You Do! I found this poster over at the Ink Society at Etsy. I hope everyone reading my blog falls into this category. I can think of many places to use this poster in a decorating scheme. The teal blue could be the punch color in an otherwise neutral space. Imagine a home office with gray walls, white trim, this poster a a few other teak accessories. Even if you aren't up to redecorating around this poster, think about how to make it true!